Water treatment expert Hydrochem UK is planning a busy year, with turnover set to increase as the company becomes a national distributor for a new pioneering product. 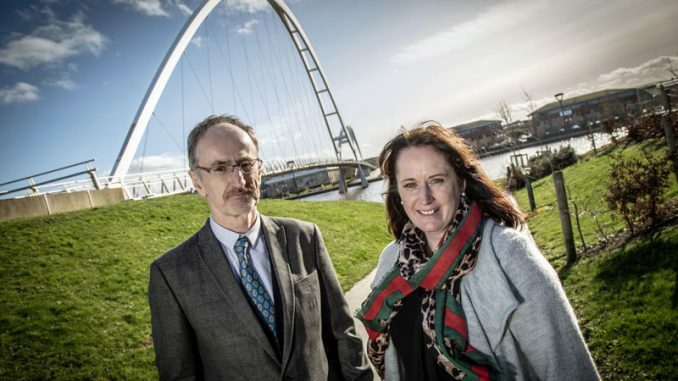 The Hartlepool-based company, which says it is the longest-serving water treatment company in the North-East, will be distributing and monitoring EndoTherm, an award-winning non-corrosive heating system additive. EndoTherm has been proven to help save businesses an average of 15% on their heating bills following successful trials with the likes of museums, sports centres, NHS buildings and large homes. 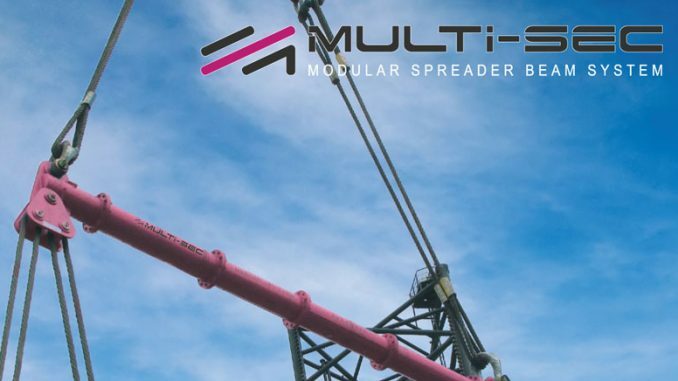 Most recently, the product helped Middlesbrough Council make a saving of more than 20% on its energy bills following two successful five-month trials. As well as saving as much as £3,636, Middlesbrough Council also saved 26,000 kg of C02; enough to run an average car non-stop for 42 days or keeping a 42-inch LCD TV on for over 18 years. “We’re definitely looking forward to showing our business customers this, especially after seeing first-hand what it is capable of,” said Hydrochem UK’s water treatment sales manager Paul Abbott (pictured above). “We are constantly on the lookout for the newest in pioneering technology to make our customers’ savings and we really can’t wait to show our clients this product. “When we say a ‘15% reduction in energy bills’ it might not sound like a lot, but imagine a business that is spending £10,000 on heating a year, that’s £1,500 that could be used for so much more. “As a business, we know all about wanting to find ways to save money but this one seems like one of the easiest. 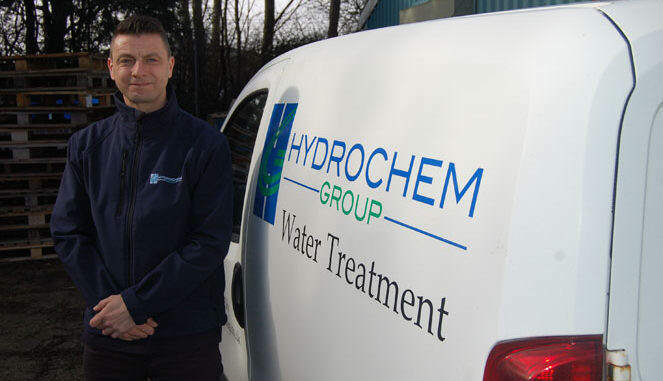 Hydrochem has been one of the leading water treatment companies in the north for almost three decades, working with both business and residential clients on a range of services including chemical cleaning, disinfection, cooling tower systems management and risk assessment. 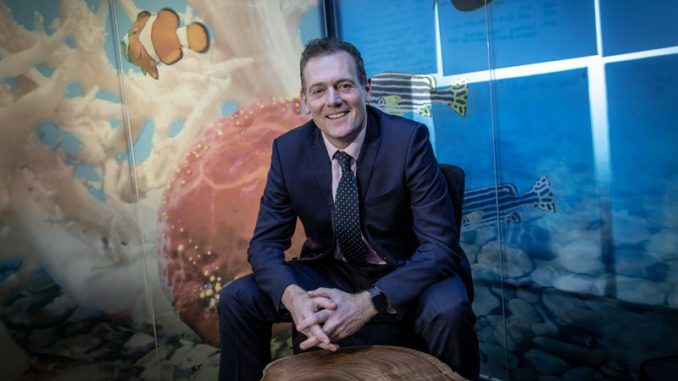 In 2015, the company broke the £1m turnover barrier for the first time in its 29-year history, in no part thanks to working with clients such as, The Marriott Hotel chain, Bannatyne’s, Haven and Butlins, where the innovative Safe-Water programme has helped carry out risk assessment of Legionella and other bacterial issues. And they continued that good work throughout 2016, following a contract worth in excess of £100,000 with an inner-city London council to carry out chemical cleaning and maintenance work on the heating system in 24 schools. Hydrochem also entered its fourth year of working with SMG global leader in managing events, arenas and stadiums, carrying out routine safety checks on the Metro Radio Arena.